Because I had difficulty understanding terra nullius I went to the library. 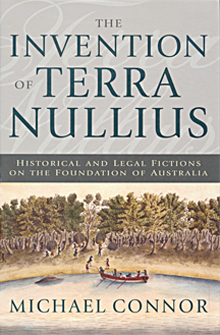 It took less than thirty minutes in the Law Library at the University of Tasmania to suggest that the definitions of terra nullius given by historian Henry Reynolds, which I had been trying to understand, did not make sense and were not supported by the references he gave. When I looked in the copies of our eighteenth century colonial records, expecting to find them dripping with terra nullius, the phrase wasn’t there. The academic I mentioned this to, who I expected would have known all about it, was at first taken aback and then suggested that, if not used at the time, terra nullius certainly represented the way the Aborigines were treated. Having seen the range of meanings intelligent people had inflicted on the Latin import I wasn’t so sure. When I finished my own postgraduate research I published a few articles on terra nullius. What I was particularly interested in then was how it was used. What it actually meant, I couldn’t be sure. 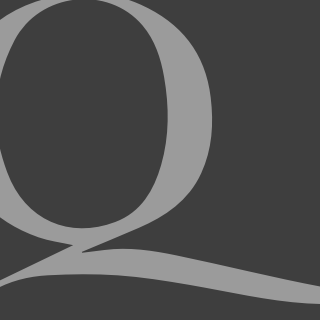 The layers of confusion it spread across history writing, the law, politics, and everyday speech brought a fairly clear-cut conclusion that at any time any two speakers using the term could quite easily be talking about very different things. Having the opportunity provided by this book to write about terra nullius revealed that it has a simple meaning, it means a territory without sovereignty. In practice, this opens up enormous possibilities for argument, analysis, discussion. In Australia we took this confusing phrase, invented our own meanings, and threw it into all sorts of places as though we all agreed on what it meant. As terra nullius never had anything to do with our eighteenth century history, it was a sterile exercise. Terra nullius is a battle we didn’t have to have. I thought that removing terra nullius and going back to the original documents could release some new history. In this book I try to do this. Naturally any new work today which unsettles state-salaried historians and ‘public intellectuals’ is treated not as historical controversy but as part of the History Wars. The History Warlords are uncomfortable with dissident voices and deflect criticism of their work by describing all challenges as politically motivated attacks on themselves, or on Aborigines — a cowardly but cynically successful manipulation of their supporters by a media savvy élite. The academic McCarthyism they have unleashed indicates the degree to which they have corrupted the discipline of history with their own politics. The History Wars are about methodology and part of this book looks at working historians and examines how some of them have gone about their task. Careerist academia is threatened by dissident history. It might be too much to suggest that these two examples constitute a dangerous new tendency in Australian historical scholarship. But it is strange that they should be presented as they have been, with such brazen ease. Windschuttle had published two one-hundred-thousand-word history books, I had published a two-thousand-word essay. Though it was flattering to have my work represented as possibly dangerous, the word that interested me was ‘brazen’. It means shameless or bold (or made of brass), and the snobbery behind its use was what I found appealing (not appalling). Academics really have floated themselves into an élitist stratosphere where mortals, or unsettling ideas, are not usually allowed to enter. But perhaps this academic is right. Perhaps dissident and democratic history does represent a dangerous tendency. Of course he is again wrong to see this as something ‘new’. Even though the History Wars began at the same time as the current historians were asserting themselves in the 1970s, in the imaginations of the History Warlords, John Howard gets into all of this. It’s worth pointing out that dissident history predates the 1996 election campaign. In fact it might be dated back to BC 431 when the dissident Thucydides began writing his history. Mistakes are endemic in history writing, but this is not what the current controversy, from the dissident side, is about. The mistakes all historians acknowledge in their work should alert politicians and lawyers to the dangers of making decisions which affect the lives of real people based on that work. If our stuff has to be used by the parliament or the courts — God help us if it is — it should be as pure, accurate and honest as the historian can make it. The current problem is not the mistakes but that history has been written for political purposes and accepted standards of the discipline have been ignored. If this contaminated stuff is used and believed by people arguing or making political decisions then their efforts are threatened when conflicting historical sources are revealed, or errors rectified. In the best of times history makes bad law; in our time history makes worse law. It wasn’t imagination. Attwood himself had previously written that the treatment of Aborigines and Torres Straits Islanders was ‘what can and should be called a holocaust’. Can we trust this generation of academic historians, rusted into their university careers, to tell the truth about our past, or the present? No, we can’t. Until comparatively recently, academic historians believed that terra nullius was a phrase used by government officers and settlers in the eighteenth century. It wasn’t. In any other field of intellectual work the realisation that the basic building block of a particular area of study was flawed would have sent practitioners immediately back to see what happened. In Australia, thus far, historians have protected their shambolic old work, for their careers are based on it, and are pretending that nothing has changed. It has.